Considering people from New Zealand are often referred to as “Kiwi’s” (I’m not sure if this has stemmed from the fruit or the bird) – and due to the fact that Haka Tours use a Kiwi bird as its brand symbol, it seems natural that we do a bird blog. Here are 10 birds that you should be flying to see! 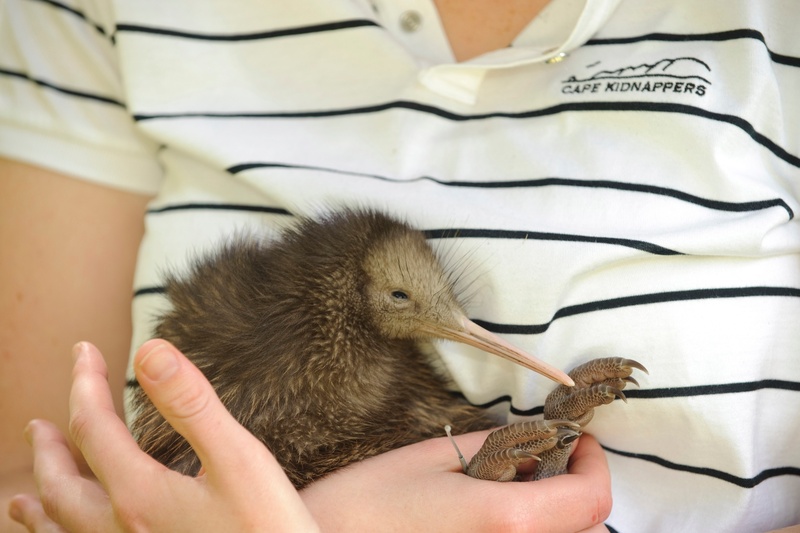 The kiwi is a flightless bird, a quality that contributes to its growing endangerment, as the kiwi is particularly susceptible to being crushed and eaten (think possums, rats, mice, dogs, pigs and stoats). If any animal needs a helicopter parent, it’s this wee fluff ball. The Kiwi was known as the hidden bird of Tane and Māori traditionally hunted the Kiwi (albeit sparingly and with great ceremony) for its meat, skin, and feathers that were turned into cloaks for Māori chiefs. 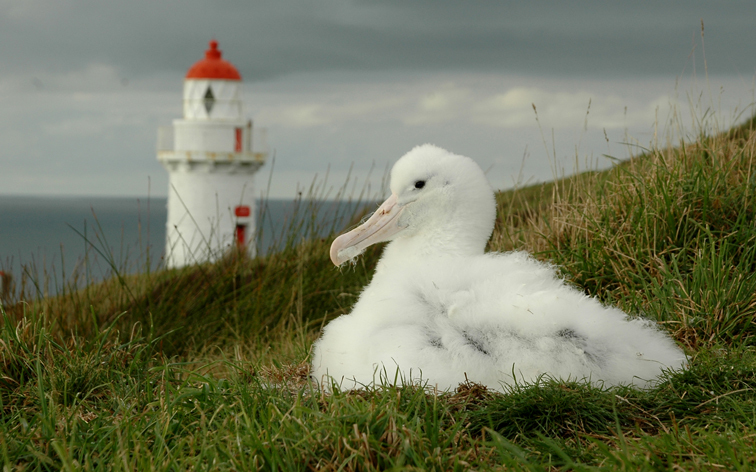 This graceful giant is the largest seabird in the world, usually mates for life and breeds only in New Zealand. There are fourteen varieties throughout the country and they spend most of their lives at sea, before returning to land to breed and raise their young. To Māori, the Toroa represented beauty and power and wearing albatross feathers or bone pendants transferred these qualities onto the wearer. Endangered, highly intelligent and the world’s only alpine parrot. 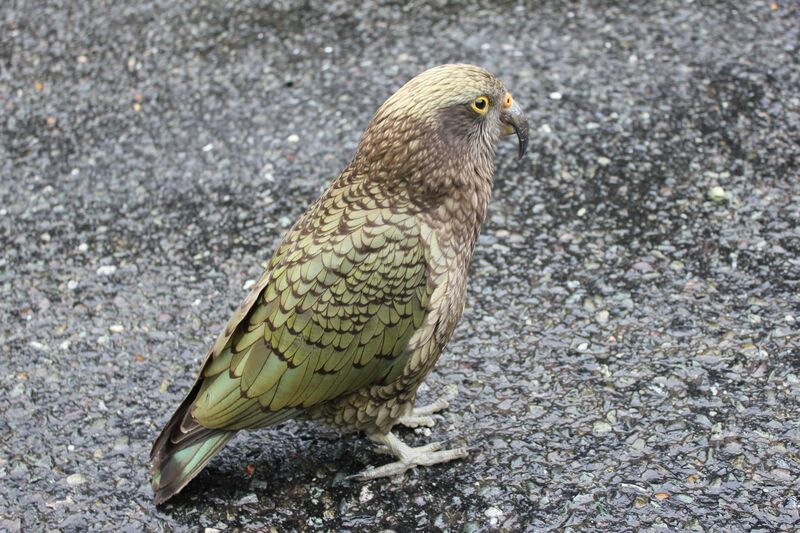 Generally the kea mate for life. The orange feathers can also be seen in the UV spectrum – light waves that aren’t visible to the human eye but are detected by birds and insects. The Kea is found in the South Island and around alpine environments – it’s very difficult to tell males and females apart, other than male kea are slightly bigger with a curved beak. The pigeon has a widespread distribution throughout the country, but is predominantly found in Northland. The Kererū is important because it’s the only bird large enough to eat big fruit from trees like tawa, karaka, taraire, miro and puriri. 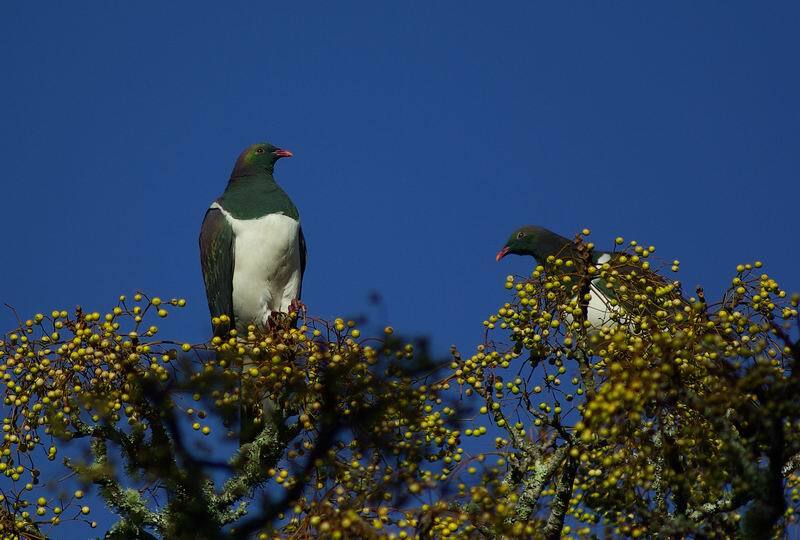 The bird spreads the seeds of over 70 native forest plants, including kahikatea, rimu and nikau. In one Māori tradition, the kererū’s feathers were originally white. The legendary trickster Māui wanted to find out where his mother, Taranga, went during the day. He hid her skirt to delay her, but she left anyway. Māui changed into a white kererū to follow her, still holding the skirt, which became the bird’s beautiful multicoloured plumage. 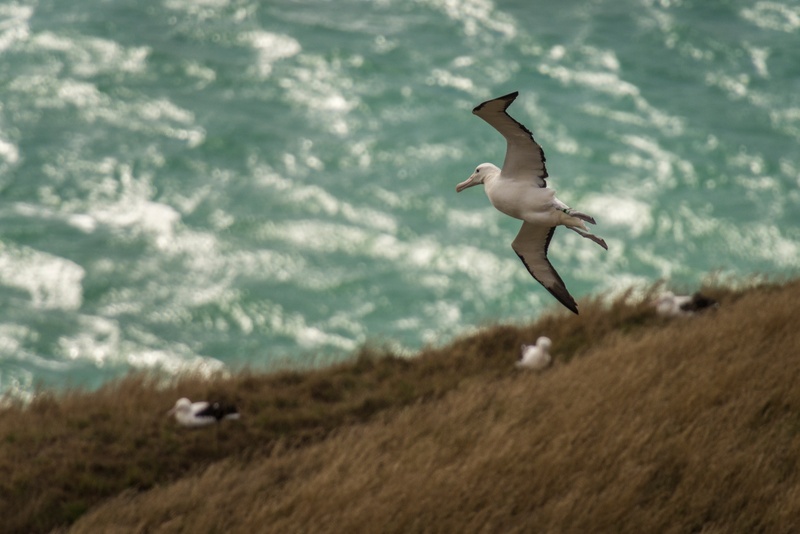 This bird is known for its haunting, melancholic call that led to Māori naming the bird ‘ruru’ that is strongly associated with the spirit world in Māori mythology. 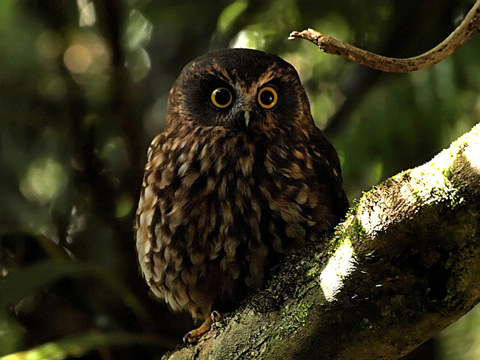 It is believed that if a morepork sits near or enters a house that there will be death in the family. It is thought that owl spirits can act as guardians and protect and guard families – with a high pitched ‘quee’ warning of bad news and its ‘more-pork’ call communicating good news. 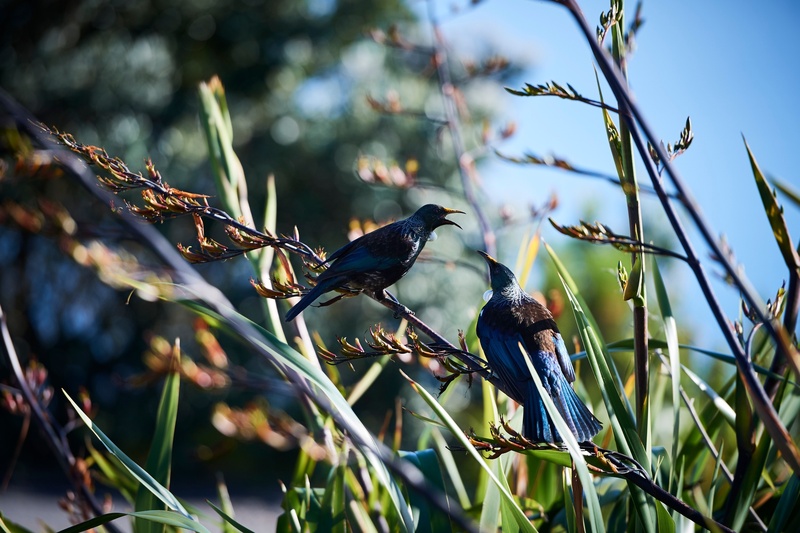 The Tui is found across New Zealand, commonly within forests and suburban areas. From a distance they look black, but on closer inspection, they have a black, blue and green sheen, especially on the head and wings, with a white bobble, similar to a pom pom, on their neck. Generally heard before they’re seen, with a loud “kaa-aaa” or “kraaaak” when disturbed, this fine specimen, formally endangered, is currently in recovery. 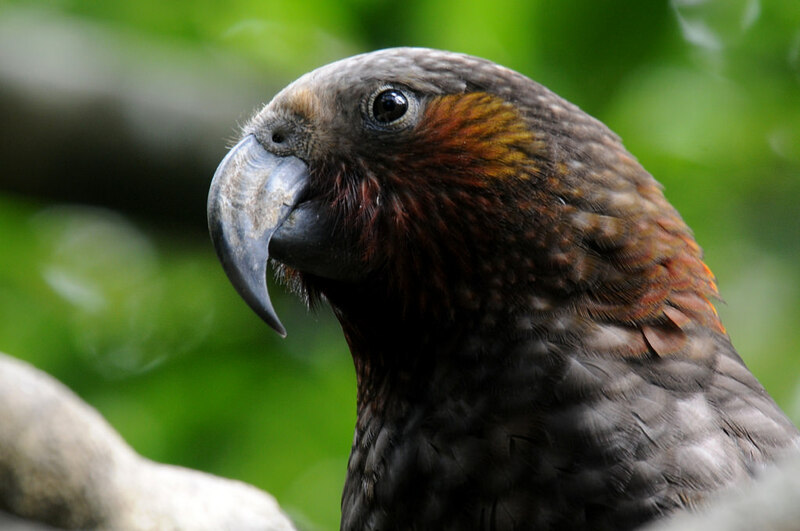 The kākā is a forest dwelling parrot, found across the country but predominantly in offshore islands where there are less mammals and less predators, specifically stoats. Māori associated the colour red with a high rank, turning the kākā’s feathers into cloaks for high-status people. 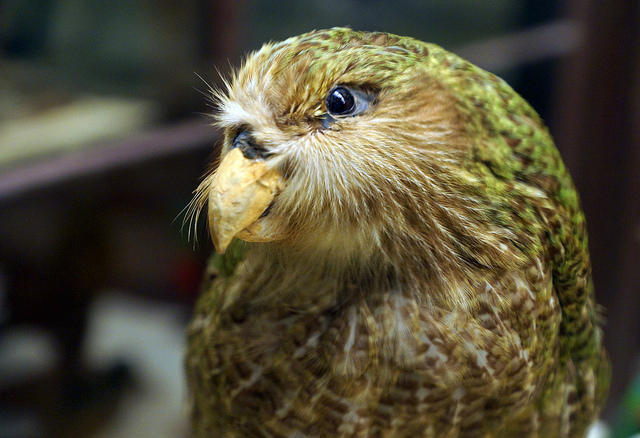 The kākāpō, a flightless nocturnal parrot, is critically endangered with fewer than 160 known surviving birds. The kākāpō was used for food, and its beautiful yellow-green and brown feathers were used to make cloaks for high-born people. This critter is one of the few native bird species in New Zealand that has been able to adapt to an environment altered by humans. 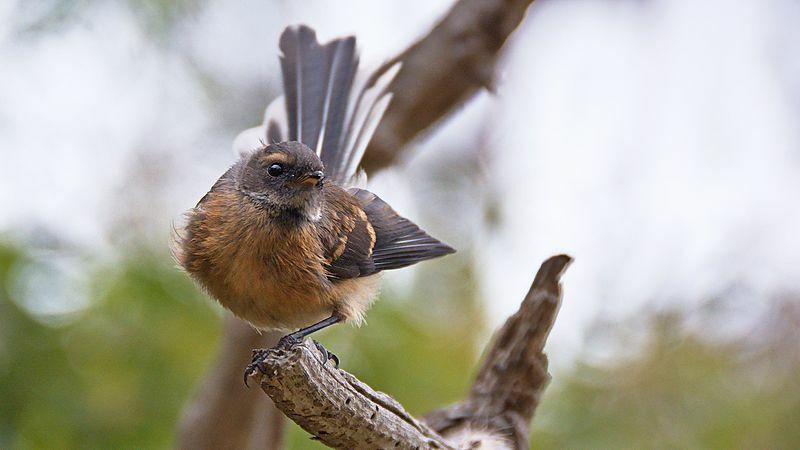 In one Māori tradition, the fantail caused Māui’s death and is viewed as a symbol of death when seen inside a house. Pūkeko are found in abundance across the country – around dumps, swamps and across roads (they notoriously lack road sense). The bird, despite its clumsiness and lack of webbed feet, are good runners, wadders and swimmers, and average fliers. 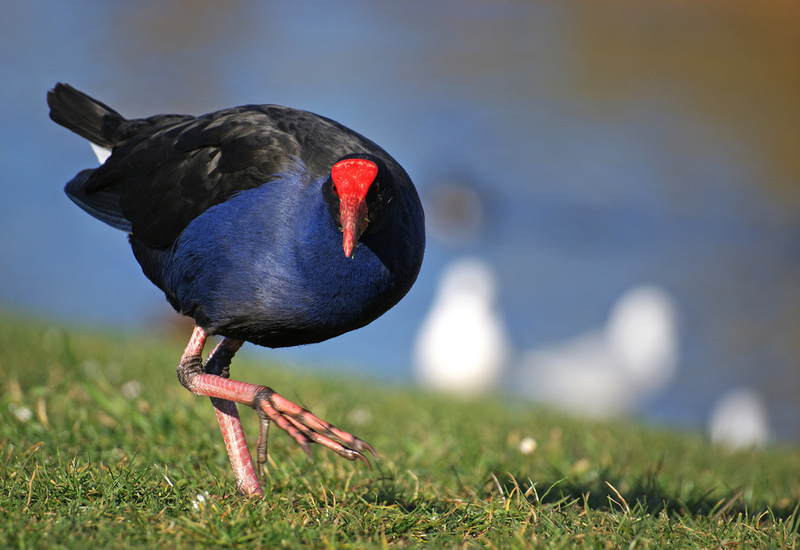 Māori viewed the pūkeko as pests and public perception remains – a native bird nonetheless. After halving the pūkeko population on Great Barrier Island, the brown teal population stabilised (the brown teal/pāteke is New Zealand’s rarest waterflow species – this small dabbling duck is still in recovery). Sold on a kiwi-experience? Check out our guided tour options here.